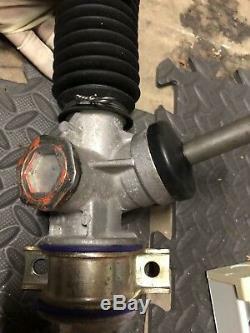 Mazda MX5 Mk1 Non Power Manual Steering Rack Old Stock/like New. 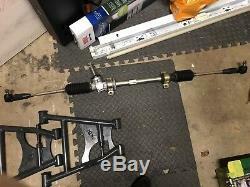 Brand new (only slight cosmetic oxidisation from storage) manual rhd manual NSK steering rack - as used in the MX5 championship as a quick rack as they are less turn to turn. I fitted a brand new powerflex bush as I had it spare and rubber covers over the adjuster bolts as it was going on a kit car (Iva). 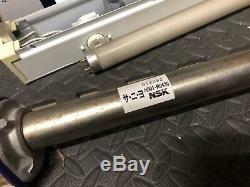 The item "Mazda MX5 Mk1 Non Power Manual Steering Rack Old Stock/like New" is in sale since Saturday, March 16, 2019. This item is in the category "Vehicle Parts & Accessories\Car Parts\Suspension & Steering\Steering Racks & Boxes". 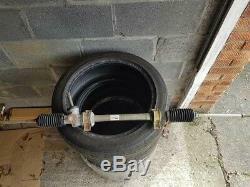 The seller is "carrj05" and is located in Leicester. This item can't be shipped, the buyer must pick up the item.